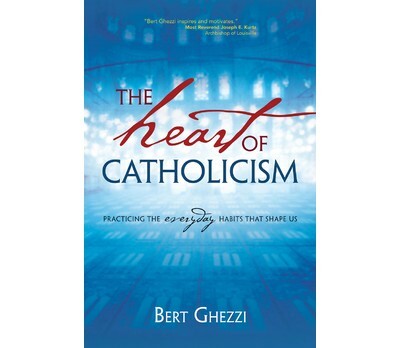 Dr. Bert Ghezzi, well-known Catholic author of several books on the saints and the sacraments, has now written a book about how Catholics live. The Heart of Catholicism: Practicing the Everyday Habits that Shape Us (Ave Maria Press, 2014) “is a book about what Catholics do and why they do it. It describes the practices and spiritual disciples that shape a Catholic’s daily life.” It is designed to be a how-to guide for new Catholics, and a refresher course for the rest of us. Each chapter features Ghezzi’s reflections, pull-out quotes from relevant Catholic documents, comprehension and discussion questions, a list of ways to put the lessons of that chapter into practice, and suggestions for further study. Topics covered include what it means to be Catholic, how to make a commitment to Christ, continuing to learn about one’s faith, embracing the sacraments, observing the liturgical seasons, praying, reading scripture, honoring Mary and the saints, receiving the gifts of the Holy Spirit, making good choices, and taking an active role in parish life. There is also a handy glossary of Catholic terms included at the end of the book. Needless to say, much ground is covered in this very readable and practical text. Whether one is new to the Catholic faith, returning to the faith after a long absence, or a long-time active Catholic, there will be something to be gained from this book. As Ghezzi states in the Afterward, this is a book meant to be put into practice. He wants those who read it to choose at least one thing to do to deepen one’s Catholic life. For my part, I’m going back to reading the lectionary readings for each day. It was habit I used to have, but had allowed to lapse, and as Ghezzi emphasizes, it is important to have that Biblical reading every day. The Heart of Catholicism is a brief review of all the habits that make a Catholic. We are all works in progress, traveling the road to sanctity. This book can help provide a roadmap for the journey.